Cocaine is a psychoactive drug that reacts with the chemicals in the brain. While cocaine is not as hard on the body and other substances, such as methamphetamine, it still has very addictive properties. Many people addicted to cocaine go on binges for various reasons. First off, cocaine is a natural drug, meaning it is plant-based and not created in a lab. Because of this, the body filters through the drug quickly; over half of the drug is processed through the body in half an hour. Addicts will go on binges to keep up the high. Also, as with most psychoactive drugs, cocaine brings the user down to emotional lows that are below what the user originally felt before indulging in the drug. Keeping up the high, and thus the positive feelings, become attractive for users who dislike the depressive feelings they experience after coming down from the high. These two factors make cocaine very hard to get off of once the cycle has begun. If anyone has ever spoken to an addict, they understand that addicts will often make excuses for their bad habits. 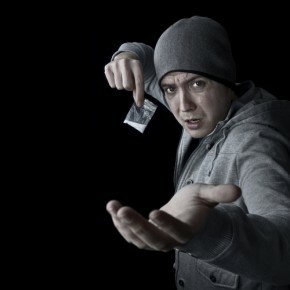 There are ten common things an addict will say to justify why they do drugs. 1) “I’m not hurting anyone but myself.” – Obviously this is not true. Addicts will go through great lengths to ensure a fix of a drug. This may include stealing from family members or friends. Loved ones are also subject to watching the addict destroy themselves over a period of time. These actions hurt those around the addict, not just themselves. 2) “I just want a bit of relief.” – The addict will often try to victimize themselves and make others believe they’ve been dealt a foul hand in this game called life. What they don’t realize is that the very thing they are doing to rectify the situation is making it worse. They are doing the opposite of relieving their problems, even though they might feel like drugs help. 3) “If you had my problems, you would drink/use too.” – First of all, how does the addict know what someone else would do with the same problems? Many people have problems, so have worse problems than the addict and they find constructive ways to deal with them. Secondly, again, the addict is victimizing themselves and trying to make those around them feel pity for the addict. Very manipulative. 4) “This is who I am.” – But it was not who you were. The addict has become this. This is a very manipulative statement as well. Why would a loved one try to change the core of someone’s being? 5) “I need to drink or do drugs to be social.” – While the college nights we never forget are always painted in the back of our minds, the addict is not acknowledging the many times their indulgence has led to bad situations. Being social is one thing. Being belligerent is quite another. 6) “I need to drink or do drugs for work.” – There are many people who believe that the influence of drugs helps their work performance, maybe even their creative abilities if they are an artist, writer, or otherwise. However much the addict believes their drugs are working for their muse, it will eventually lead to the downfall of their work. 7) “I’m not an addict. I can stop whenever I want.” – If an addict actually understands the harmfulness that a drug can do to their bodies and still decides to indulge, that is the textbook definition of being addicted. This statement is not only absurd, but false. 8) “At least I don’t drink like he does, THAT dude has a problem.” – Eventually, if the addict keeps on, they will become just like, or maybe even worse than THAT dude. 9) “Everyone else uses/drinks.” – This is just false. What the addict means is everyone they hang around uses/drinks, or they only notice the people who use/drink. This is a method they use to normalize their problems as if the entire world does the same thing. 10) “Life is pointless and I’m going to die anyways, I might as well go out on my terms.” – This statement is a)depressing, b) stupid, and c) a key indicator that there is a problem. Yes, everyone will die, but most people use the limited time they have to live life to the fullest and fulfill their dreams. Isn’t that what living really is? No matter the excuse, if someone has a cocaine addiction, they should seek immediate help. For more information contact us today.